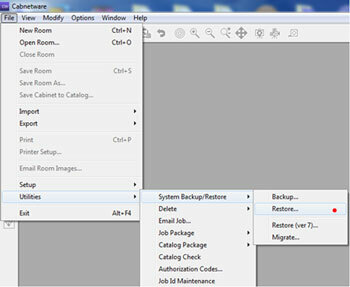 Now that a new version, 2011 R2, is being released, it’s time for a refresher on the System Backup and Restore utility. While many of you have your own methods of keeping backup copies of your data files, and some of you don’t bother, it’s simple to do with the built in System Backup/Restore utility in Cabnetware. Backing up is highly recommended before installing any new version of Cabnetware. Select the items you want to Back up. You don’t need to always back up everything, every time you do this. Things like 3D Objects, All Jobs and Textures can take a lot of time and more disk space. Parameters and Material/Hardware should always be backed up. 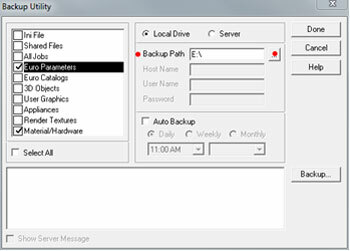 Once you have selected the things to back up, select the Backup Path. This is the location you are backing up to. 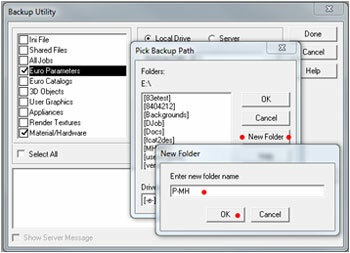 You can select from removable drives or any hard drive or mapped network drive you have access to. Create and select a New Folder if desired. Choose the Backup button and provide a name for the backup session. Choose OK to begin the backup. After a short period of time the status of the backup is reported. This will have created an index file and a zip file with the backups. 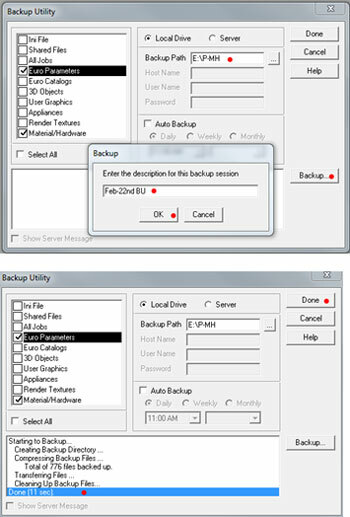 Choose Done to close the Backup utility. The backed up files can be restored on the same or a different computer. There are a few safeguards built in to prevent you from easily restoring items between dissimilar versions or users. When restoring between computers used by different people, click the Show All button to allow a different logged in user to restore. You can only restore from similar versions. This means a Frame Ultimate version can’t restore to a Euro Advanced version etc. At this time a stand-alone Euro or Frame version will not restore to the Combined Euro/Frame version. Click the Show All radio button if necessary. Select the Backup Path. This is where the backed up files reside. You’ll see the item categories that were backed up. 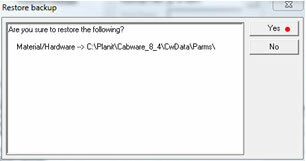 You can select the whole group, represented by the numerical date-time stamp, or individual types to restore. If you select the whole group, the Restore path will be blanked out and everything will be restored to the default paths you have set in preferences. If you select just one item to restore, you can select a path to restore to, that can be different than the default setting. That might be useful for jobs in some cases. There is an Enable Roll Back check box. Selecting this will allow you to undo the restore if for some reason you put the incorrect files in. 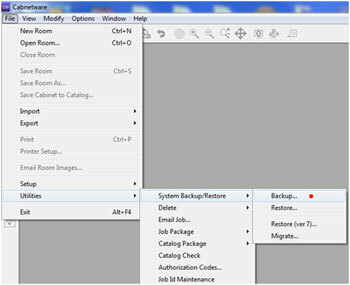 After selecting Restore you will be prompted to confirm you want to do it. Answering yes continues the process. Click on Done to exit the Restore utility when it is finished.